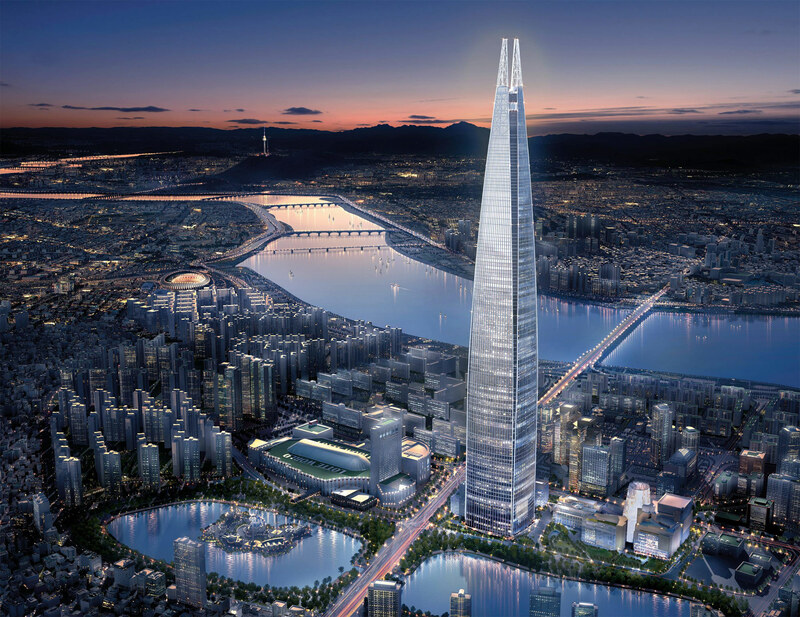 Wilson Associates brings a revolutionary design to the Signiel Hotel situated between levels 76 to 101 of the 555-meter-tall landmark Lotte World Tower, Seoul’s tallest and the fifth highest building in the world. 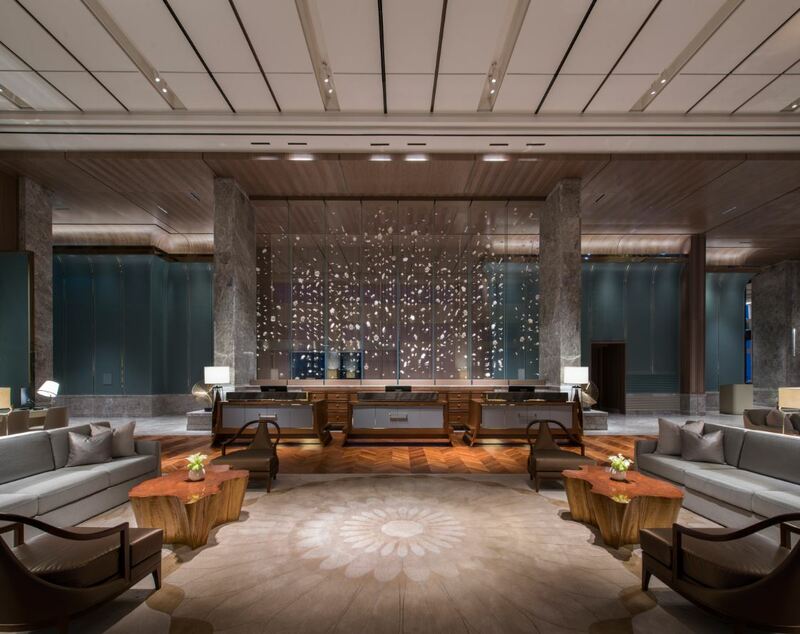 Regarded as Korea’s most luxurious hotel, Signiel Hotel offers an extravagant experience for guests and introduces the world to Seoul’s newest sensation. Inspired by the idea of a “mansion in the sky,” Wilson Associates combined comfort and luxury with a twist on traditional Lotte properties. The design team used height as a key element in this project and featured double-height ceilings to embody a sense of airiness, reminiscent of floating clouds and to evoke a sense of grandeur as guests experience each of the spaces. Signiel Hotel’s interior harmoniously blends the elements of East and West and showcases a contemporary aesthetic mixed with Korean influences from art, ceramics and calligraphy. Korean culture and heritage can be found in every room in the form of Mugunghwa: Korea’s national flower, which symbolizes peace, happiness and unity. In the lobby, the main staircase encircles a flower installation representative of Mugunghwa, offering guests a 360-degree view of the cascading piece. The hotel’s reception desk is inspired by the traditional Korean household table and set against a backdrop of Mugunghwa flowers completely crafted by local artisans and made out of white Korean ceramic. Each of the 235 guest rooms at Signiel Hotel were uniquely designed to not only reflect the building’s tapering shape but also drawing design cues from Korean heritage. 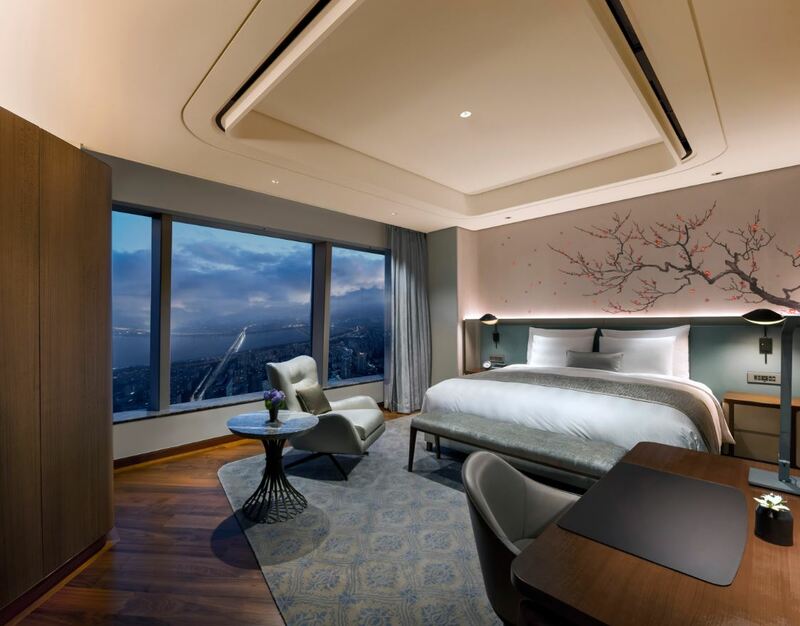 References to Korean culture are found throughout; custom-made hand embroidered wallcovering above the bed, depicting a Mugunghwa tree gently swaying in the breeze with the intention to have guests “rest” under the tree. The hand-tufted rug in every bedroom has patterns found on the traditional Korean costume “Hanbok”. The team also used a palette of purples and pale blues – two unconventional colors – for a soft, luxurious feeling in the guest rooms. These two colours were selected as they are commonly found in Korean ceramic ware. The Royal Suite features a two-story living room with a large chandelier and custom-made mother of pearl elements. The bathroom of the Master bedroom has a large soaking Jacuzzi tub located at the curtain wall, providing dramatic sunset views. One of the many design highlights of the hotel is Bar 81, an upscale champagne bar paired with a panoramic sky view. Wilson Associates enveloped the double-volume-height bar in white stone caged in satin brass compartments, a play on the traditional cellars found in Europe. Inspired by the song “Champagne Supernova” by the band Oasis, the team worked with renowned glass lighting makers, Lasvit, to create a sea of hand-blown crystal bubbles suspended over the entire bar. Drama has always been part of the designer’s storytelling, mastering spaces that have a chance of creating a soul. 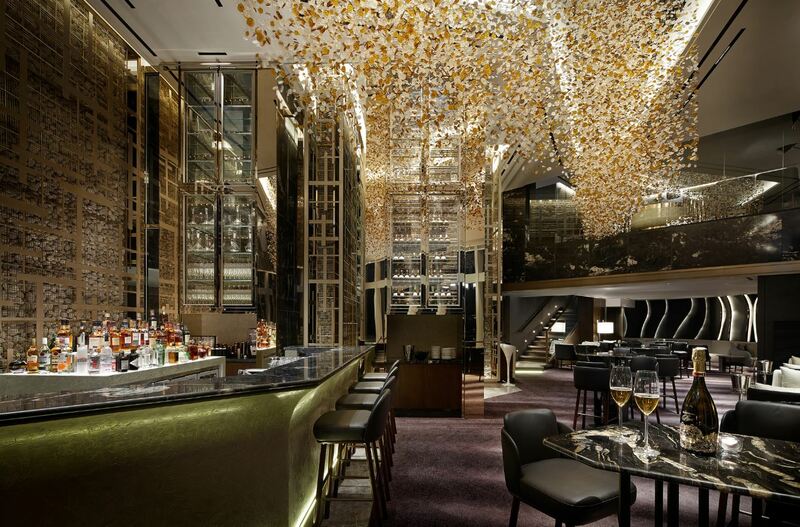 Patrons to the bar will be able to enjoy Champagne under a sea of ethereal fizzy bubbles. Wilson Associates demonstrates creativity and boldness in its latest architectural design delivered in Seoul. Signiel Hotel reflects a unique and revolutionary design which sets a new precedent for hotels in Asia and globally.